California is filled with blooming plants, tall trees, colorful cacti and fertile farms. With this flourishing of flora comes an abundance of places for gardeners to get what they need. 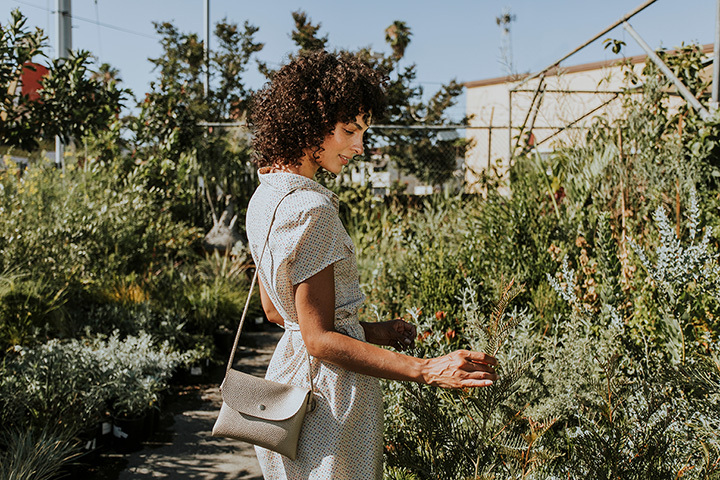 If you’re looking to get in on the growing plants action, check out the garden centers and nurseries that best help give Californians a green thumb. Flora Grubb Gardens is a restful place to pick out your plants. Offering design services, exotic and easy-to-care-for plants, you can do everything from centerpieces to designing your backyard. And there’s an espresso bar, just in case you need help thinking. This family-owned shop provides friendly experts to help you with your plant needs. From a variety of different types of flora to supplies to care for them Berkley Horticultural Nursery has it all. Half Moon Bay Nursery is more than your usual garden center. To help the plants grow, there’s opera constantly filling the air. The nursery features various seasonal events to focus on different types of plants, including a pumpkin festival. It’s no wonder that the family owned space has been attracting visitors since 1957. A carefully curated selection of plants, furniture and general outdoor living, Potted is a restful spot to explore on an afternoon. Check out the Potted book or learn how to make a living centerpiece with a succulent or other plant. Family-owned Roger’s Gardens has a vast assortment of rare and seasonal plants, fruit trees, vegetables, native plants and succulents and offers workshops and classes so that you can learn how to take care of them. Check out the café for a snack while you peruse the bounty. Cacti and succulents are popular in California’s drought-prone climate and the California Cactus Center’s vast selection of species means that you won’t miss leaves and watering. The knowledgeable staff can help you make a selection as well as provide services to ensure your cacti thrive. Worldwide Exotics in flying a little under the radar. Plants here are available for every kind of climate, condition and caretaking known to man. The huge array makes it a one stop shop—if you know where to look for it. Theodore Paine is a unique nursery in that it is a non-profit specializing in wildflowers and native plants. Tours and other special events explore the importance of California’s native species and you can find seeds and other plants to help ensure California’s future. Walter Andersen Nursery has been solving plant problems for San Diego since 1928. The knowledgeable staff is available to answer questions and provide solutions. You’ll also find an online store and multiple locations to help serve you. Summers Past Farms is a beautiful way to spend the day. Pick up some seeds or plants in the nursery to help to attract wildlife, including bees and hummingbirds to your own yard. You’ll also find the tools you need to make a culinary garden or create a succulent display.